A little more than five years ago a small group of forward-thinking people could only imagine what the Iowa Center for Public Affairs Journalism with its news website, IowaWatch.org, would be. That changed on May 29, 2010, when the first IowaWatch story was published. The Iowa Center for Public Affairs Journalism will celebrate on May 29, 2015, the fifth anniversary of IowaWatch, its award-winning nonprofit investigative and public affairs news effort founded in Iowa City. It will do so with a reception open to the public from 4 to 6 p.m. that kicks off an exhibit at the University of Iowa School of Journalism and Mass Communication Resource Center. 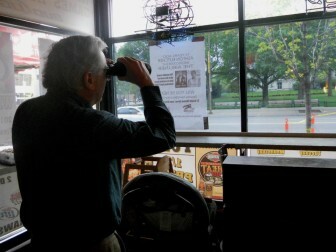 The exhibit will include that first story, which was published in The Gazette newspaper and on its website but interestingly not at the still-emerging IowaWatch.org, examples of awarding-winning journalism IowaWatch has produced and a display showing where former IowaWatch reporters have gone since their days as students. 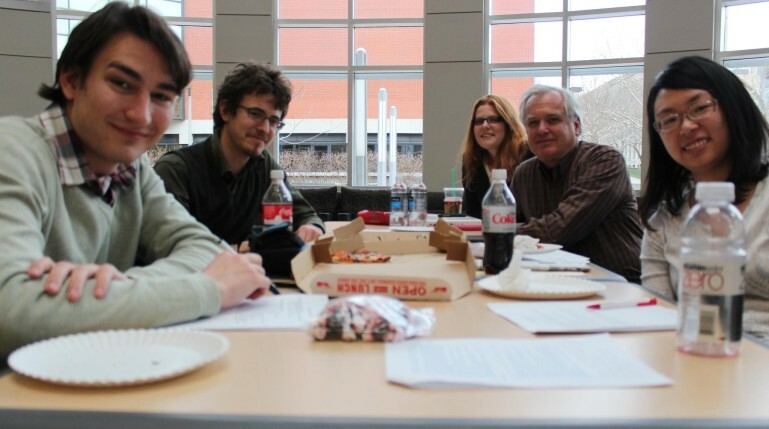 The Iowa Center for Public Affairs Journalism, a 501(c)(3) nonprofit, nonpartisan news organization, has worked with student journalists at 10 Iowa colleges and universities to help those students produce journalism that collaborating news outlets publish or air. It has published 265 explanatory and/or investigative, multi-media stories, most of them by students, in its first five years. Its stories have been republished by 34 newspapers and aired by 25 radio stations in addition to the Iowa Public Radio, and six televisions in addition to Iowa Public Television’s World channel. The first story, “When Students Go Missing,” told how a Haitian father had to search on his own for his missing son, a University of Iowa graduate student, when university and law enforcement officials would not. The IowaWatch story compared this reaction to how the Iowa State University community rallied to find a student missing from the Ames campus. Both students eventually were found dead. 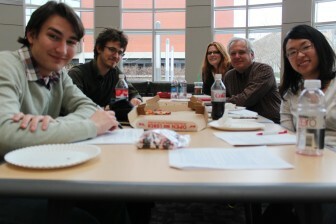 The Gazette newspaper published the story, which was written by then-UI journalism master’s student Jim Malewitz. Malewitz is a reporter at Texas Tribune and an IowaWatch board member now. IowaWatch, run by the non-profit, non-partisan Iowa Center for Public Affairs Journalism, is one of 57 news organizations the John S. and James L. Knight Foundation has selected for a one-month-long matching fund drive.